Sir David Attenborough and a host of celebrities are rallying behind a campaign from The Wildlife Trusts that calls for nature’s recovery in the UK. The ad, created by Don’t Panic, is an imagined film trailer for classic children’s novel The Wind in the Willows. 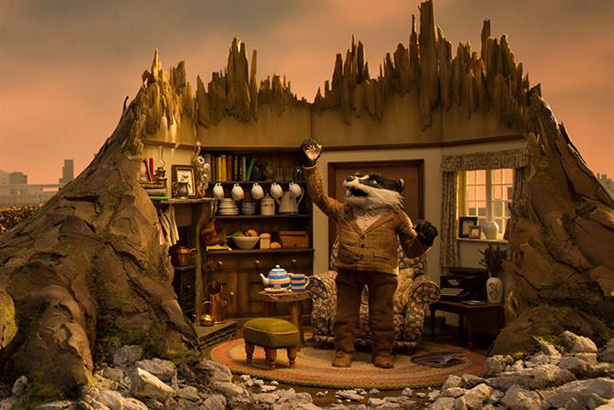 The characters Badger, Ratty, Mole and Toad face 21st-century threats from bulldozers, pollution and intensive agriculture, which destroy or break up their homes. Attenborough, Stephen Fry, Catherine Tate, Alison Steadman and Asim Chaudhry have starring roles in the animated film, which calls on people to help restore wildlife and secure a wilder future for the UK before it is too late. Since Scottish author Kenneth Grahame published The Wind in the Willows in 1908, the UK has become one of the most nature-depleted countries in the world. In the past 50 years, more than half of the UK’s species have declined, mainly due to climate change, habitat loss or degradation from farming and inappropriate development. The Wildlife Trusts aims to build support for stronger environmental laws and for a Nature Recovery Network, because there is currently no legislation to help nature recover from the wildlife declines of recent decades. The spot will run on social media and in 500 UK cinemas for two weeks starting 29 March. It was created by Rick Dodds, Alice Dowdall and George McCallum, and directed by Matthew Day and Thomas O’Meara through Rowdy. The film uses stop-frame animation and was animated by part of the team behind Wes Anderson’s Isle of Dogs. Stephanie Hilborne, chief executive of The Wildlife Trusts, said: "We are a nation of nature lovers, yet we live in one of the most nature-depleted countries in the world. If we want to put nature into recovery, we have to create a mass movement of people calling for change." Attenborough, president emeritus of The Wildlife Trusts, added: "We have damaged our rivers, built too many roads and lost too many ponds and meadows. All of this has happened because our systems and laws that should be keeping nature healthy are failing and we are losing touch with wildlife. "We need ambitious new laws to ensure we do this; laws that ensure we map out nature’s recovery."